I love animals, I dislike animal abuse, it breaks my heart to see any mistreatment to animals or pets. But I do not know that a small action I did has caused a big different to the pets to be alive or dead. Earlier I met a friend, he is selling puppies for the breeders. He introduces me about pets selling business so I can earn extra money. Therefore I started selling Pedegree puppies through online. But after I read the article about Dark Side of Japan’s Pet Boom, I feel guilty and sorry for my action. Japan is a country that loves its pets, I was shock to see statistic of unwanted dogs put to death in Japan in year 2008. In fiscal year 2008, 84,264 dogs were put to death in Japan. It means that 230 dogs killed each day, or more than one dog killed every 6 minutes of the day, every day of the year. 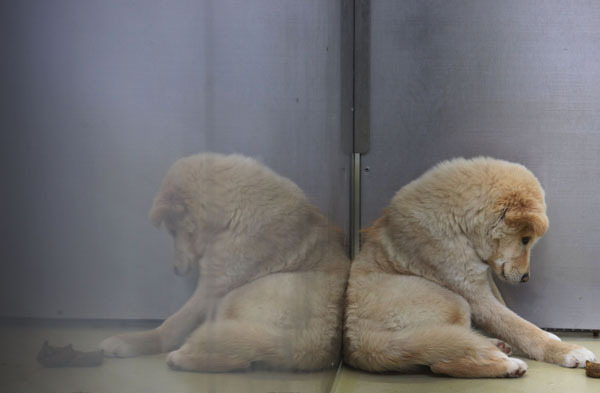 In the article, the journalist had visited an animal management center in Tokushima to witness the Euthanasia treatment for unwanted dogs, he mentioned this was one of the saddest assignments of his life. In the center, there were seven cells, one for each day of the week. When a dog enters the center, it is placed in the cell of the corresponding day, meaning the unwanted dogs only have seven days to live if no adoption made within the period. 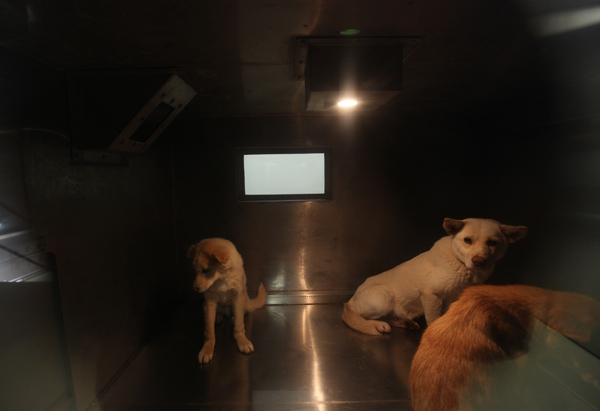 The dogs will wait in cells for us (human) to decide on their destiny. The journalist surprisingly found that not only mixed and stray dogs were abandoned, there were number of pedegree dogs at the center too. He said: ” During the recent pet boom, some people casually buy dogs which are displayed at a pet shop with little concern for their welfare and then, when they become troublesome, some owners discard them like unwanted fashion goods.” which I totally agree. Pets are living beings with feelings, not a toy or a fashion trend can be abandon as you like. 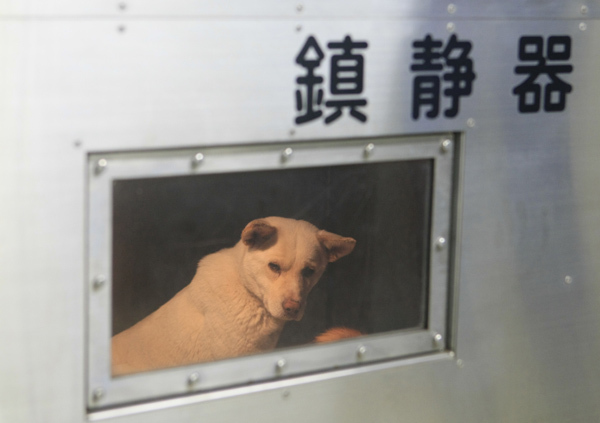 So every morning, the dogs marked to die are herded into a so-called “Dream box”, a place where the dogs were suffocated to death by carbon dioxide. When ready, the workers will press the button to release the carbon dioxide gas to suffocate the dogs till their last breath. The image below show a dog trembling with fear before the death treatment. They were innocent but yet they knew they were send to death. Pets are meant to be our man’s best friend and our companion, this is not supposed to be theirs destiny. Think twice before you adopt a pet, once you adopt it, it is your responsibilities. STOP BUYING PETS FROM BREEDERS or PETSHOPS, START ADOPTING PETS FROM ANIMAL WELFARES CENTRE!!! YOU CAN MAKE THE DIFFERENT, WE CAN STOP MORE INNOCENT PETS BEING KILLED.